About The BookHelen Grey is finally getting everything she wants. She's about to have the perfect dream wedding and begin an exciting new life abroad on the sunny Mediterranean island of Cyprus. But living the dream isn't all it's cracked up to be. After a mix-up at the airport, Helen finds herself drawn into the midst of an elaborate plot to steal an ancient statue and assassinate a local businessman. And as if that wasn't bad enough, her wedding dress is AWOL, the statue seems to be cursed, and Helen is wanted by the police. With the big day rapidly approaching, a roller-coaster of mishaps, misunderstandings, and disasters threatens to turn the newlyweds into nearlyweds. Can Helen prevent an assassination, save the statue, and have the perfect wedding? Or will the day to remember turn into one she'd rather forget? I loved this book. It is a easy read so it didn't take me long to read it and I just couldn't put it down. I read it in one afternoon.It is funny, witty and intriguing. 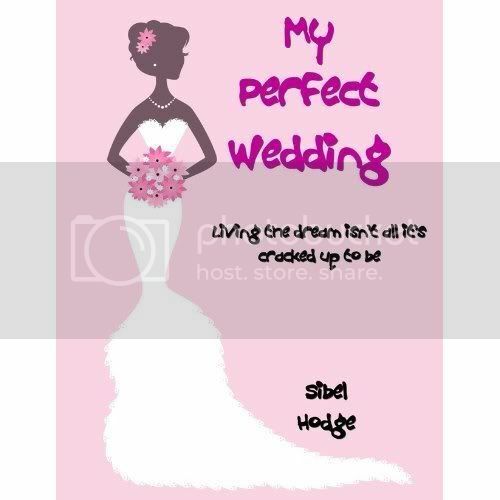 If you are a fan of Sophie Kinsella I am positive you will love My Perfect Wedding by Sibel Hodge.